Convert the images attached to a professional and well designed graphic. 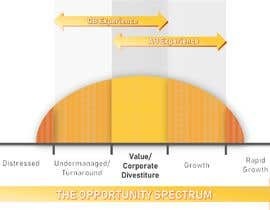 Use whatever color and layout you see fit - the color scheme is not decided so I'm open to your ideas. Creativity is great, as long is its professional for a business environment. 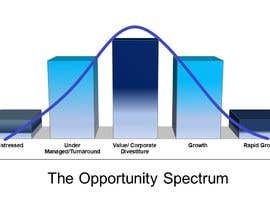 There are two attached images, and I actually care most about the one called Opportunity Spectrum. The additional image called Opportunity Spectrum Augmented has only a slight addition at the top. The file format can be whatever you are comfortable with as long as it is easy to size up and down in powerpoint. can you please explain which sort of design you need?